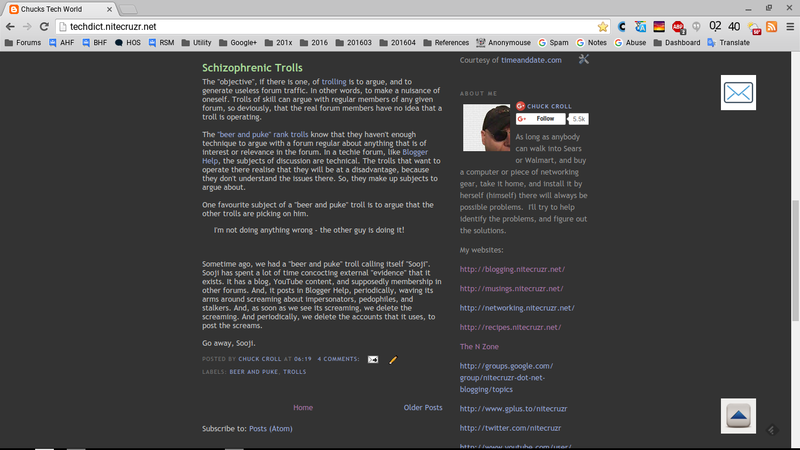 I want to have a subscribe button hover at the top of the page, while people read my blog. 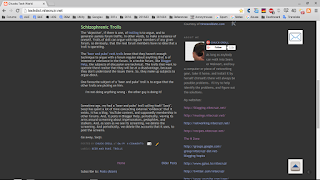 This blog has a hovering AddThis toolbar, which provides selected social sharing options. And, it has a hovering "Top of Page" button. Adding a custom subscription gadget, in a fixed screen location, is not complicated. AddThis has a large library of social sharing gadgets, with their icons - but they don't have any email subscription selections. But you can add an icon based "subscribe" button, "hovering" at the top of the page. An occasional request suggests using a popup window, containing a subscription form. We don't recommend using a popup window - but a subscription form, on a FeedBurner hosted page, will provide the same function. Add FeedBurner "Subscribe by Email". 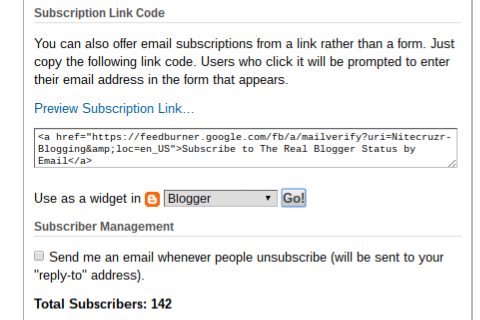 Add a "Subscribe by Email" FeedBurner hosted form, and a link. Add a suitable icon, containing the FeedBurner subscription link. See below "See the code asssembled. ", for the detailed procedure. 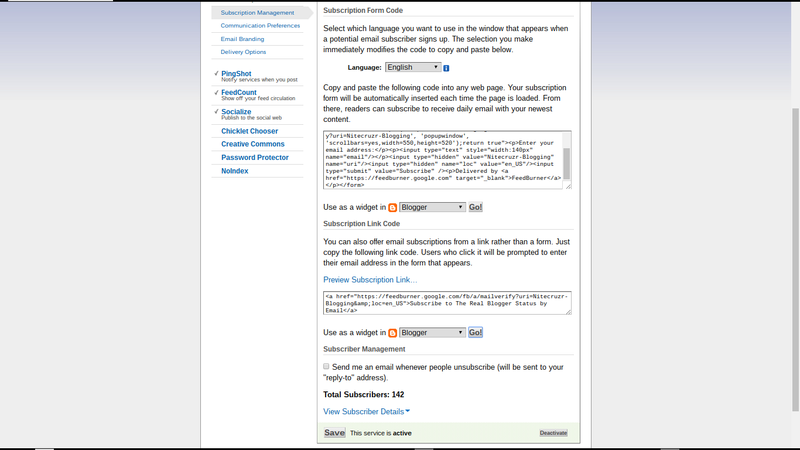 Using the dashboard Layout page, and "Add a Gadget", add a "Subscribe by Email" gadget. 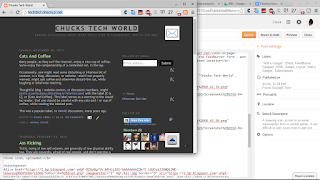 This creates a blog posts FeedBurner hosted feed. 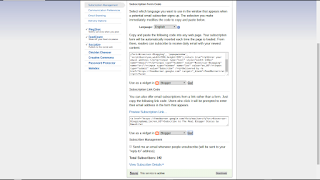 FeedBurner provides the "Subscribe by Email" gadget, with the choice to display either an on screen form - or a simple link to a FeedBurner hosted form page. Once a "Subscribe by Email" gadget has been added, get the gadget link from the FeedBurner dashboard, at Publicize - "Email Subscriptions" - "Subscription Management" - "Preview Subscription Link…". Start from the dashboard, at Publicize - "Email Subscriptions" - "Subscription Management". The "Preview Subscription Link…" window contains the code, that we need. 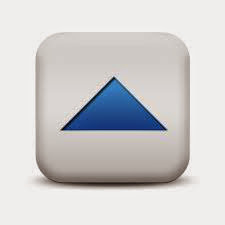 Choose an attractive icon to contain the FeedBurner supplied link. 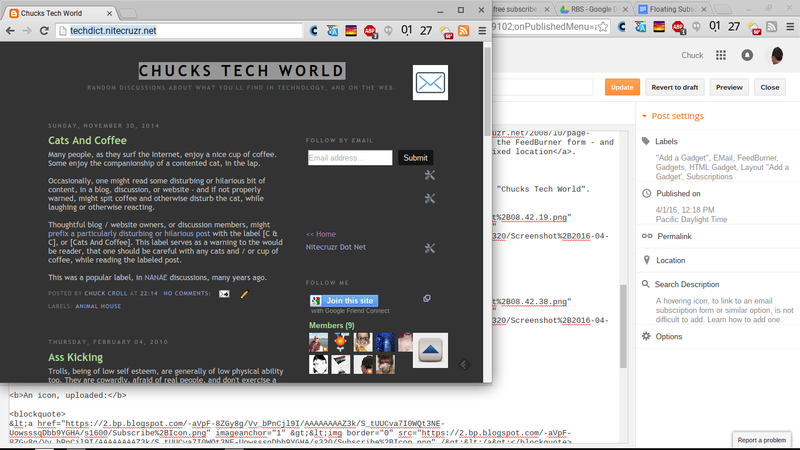 Add an HTML gadget using "Add a Gadget", containing the icon with the link to the FeedBurner form - and displayed in a fixed location. 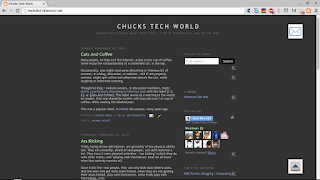 I added a button, and a new subscription, to my test blog, "Chucks Tech World". See the icon, in the top right margin? See how the new icon floats? See how it floats from the top - and from the right? 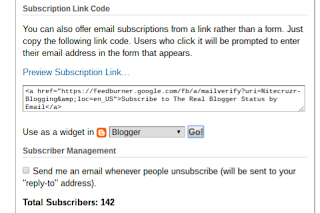 Add the FeedBurner Subscription link code. 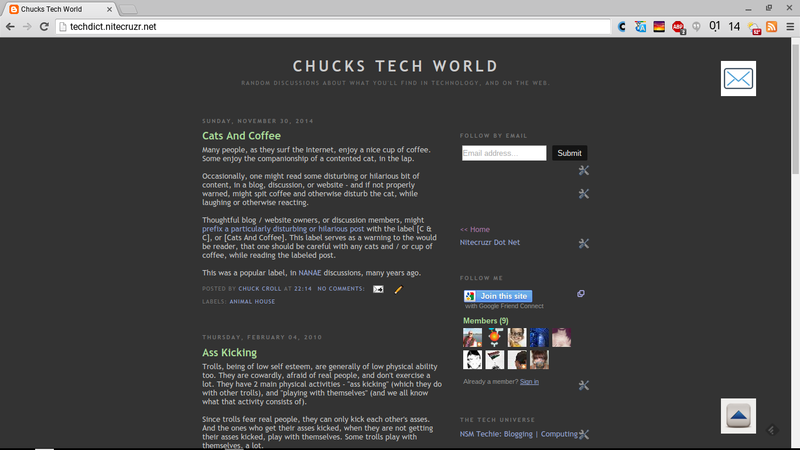 I now have a hovering subscription icon, in this blog. Given a collection of icons, carefully arranged, you can have a hovering toolbar - to maybe complement a social media button toolbar. Some #Blogger blog owners would like a hovering button or toolbar, to provide an email subscription form. This is an accessory that is not difficult to add.